The awesome website you can see on the screenshot has been built with the MH Magazine WordPress Theme. 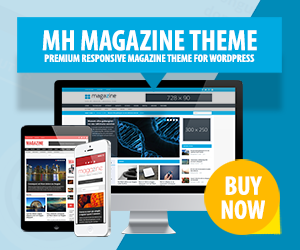 This is an additional demo of MH Magazine WordPress Theme which shows how you could use this magazine theme to create cool urban style online magazines about lifestyle, streetart, design, subculture, photography or related topics. This flexible magazine WordPress theme is very suitable to present your content in a unique way.